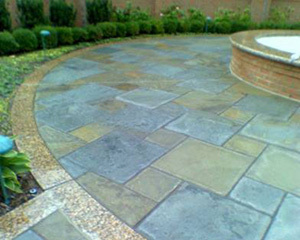 This Bluestone project showcases our design experience. 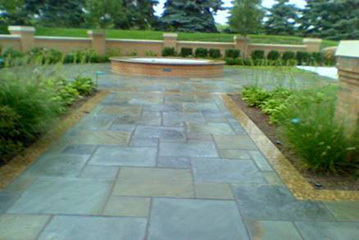 A Bloomfield resident contacted us to design and install a walkway and fountain that would be out of the ordinary. 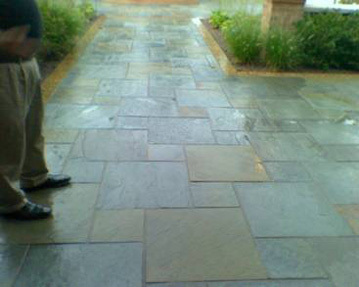 Our design team listened to what our client wanted, designed the project, and then hand selected various colors and sizes of Pennsylvania Bluestone slate with a granite border to produce a one-of-a-kind result. 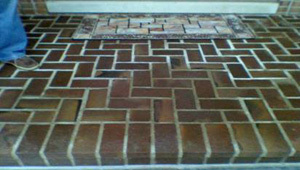 Our installers did an excellent job of installing and finishing the project.